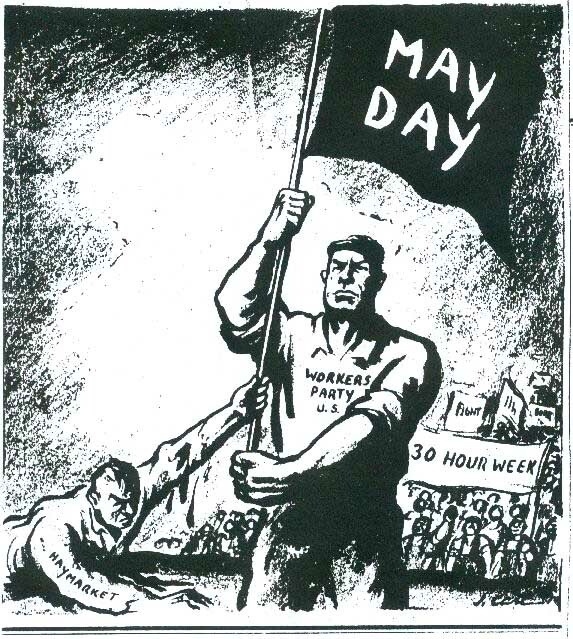 The first of May is traditionally a holiday around the world that honors the international labor movement. Perhaps because of the holiday's association with communism, decades ago Congress created a Labor Day holiday in the U.S. in September, to ensure there would minimal overlap between American workers and their international brethren. 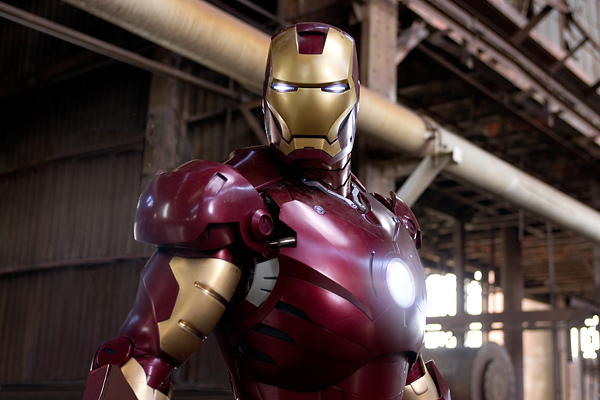 Robert Downey Jr. is pretty terrific as a snarky super-hero in the new Iron Man movie. Like Superman: The Movie or Spider-Man 2 or X-Men 2, this flick captures the essence of the genre with a story that makes sense, characters that are reasonably fleshed out, tons of interesting visual eye candy, a sense of humor, and a good sense of pacing. Easily one of the best movies I've seen in some time. Before Iron Man kicked into gear last night, the previews included a new trailer for the new Indiana Jones installment, due in three weeks! Click here to see it. Instead of spending most of the day up at Deerfield for a tennis match, the threat of rain canceled the event, so I have an unexpectedly free afternoon! 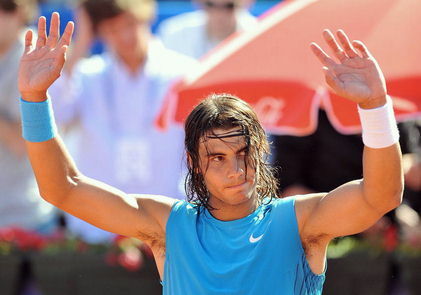 Rafael Nadal notched another clay court tournament victory in winning today's Barcelona final. He is now 20-1 in clay court finals, including the last four events in Monte Carlo and Barcelona and the last three Italian and French Opens (he'll be gunning for four in a row at those two in the weeks ahead). Rafa has won 103 of his last 104 matches on the surface. Not too shabby. Good to have New York Times columnist Tom Friedman back on the beat this week. Although I think he blew it on the Iraq situation until relatively recently, you can't beat his take on globalization and on environmental issues. There's a thoughtful piece on the intersection of Edmund Burke and John McCain in the last issue of The Atlantic. The piece captures just how far the modern Republican party has strayed from virtues that are authentically conservative. You can read it here. Hilary Clinton can't be a happy camper tonight. She got blown out in North Carolina--a big state--and it looks like she'll have at best a narrow win in Indiana. Hard to see how the delegate math will produce anything other than an Obama nomination. 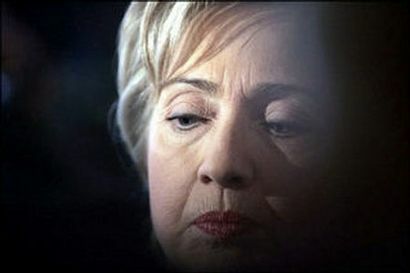 It will be much harder now for Senator Clinton to raise money, attract superdelegate votes, and exceed expectations in the remaining contests now that her portrayal of Obama as unelectable has been punctured. 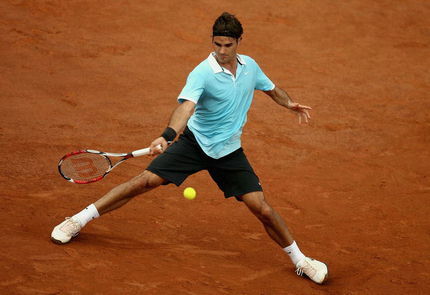 The ATP Tour stops in Rome this week for the Italian Open. Since Rafael Nadal actually lost on clay (!) yesterday, maybe the second best clay court player in the world, pictured above, will have a crack at this title this year. I am enjoying the live coverage on Tennis Channel every morning this week. 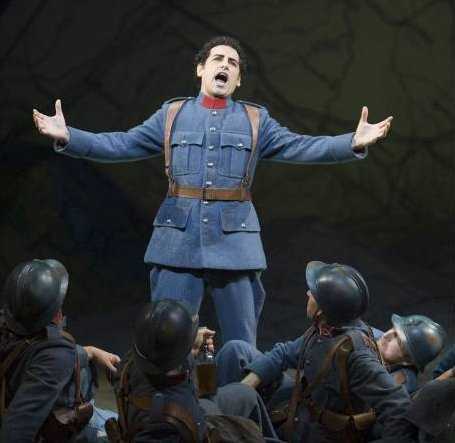 I was in New York this evening to see Donizetti's La Fille du Régiment, the last opera in my package of season tickets at the Met. This was a very funny piece, with tremendous star power assembled in the form of French soprano Natalie Dessay as Marie and Peruvian tenor Juan Diego Flórez as Tonio. I saw the latter some eighteen months ago at The Met in The Barber of Seville, and he is clearly an ascendant presence in the music world. Flórez was in tremendous form tonight, hitting nine stunning high C's in "Ah! Mes Amis"--in fact, this feat resulted in a five-minute ovation from the audience mid-performance, which spurred a highly unusual solo encore (for a total of 18 high C's!). It's clear to see why this tenor has been dubbed Pavarotti's heir. And Dessy was his match, with an impressive coloratura performance. A magnificent evening! Irish goodbye is a slang term with its origins in the Irish-American neighborhoods of New York City and Boston. The term refers to the practice of inconspicuously leaving a place where one has gathered with friends (usually for quite some time) without ever formally announcing that one is leaving. Note that an Irish goodbye requires a conscious decision by the person to leave without bidding adieu. It is a decision that reflects the leaver's dislike of making himself the center of attention, an austere disdain for showy and perhaps empty formalities, and the essential existential coldness that lies at the heart of all Irishmen. The Irish goodbye also allows a person to disappear from a function with the utmost expediency without spending extra time on "thank-yous" etc. The first night I am in the Bay Area--July 5--I will be seeing Natalie Dessy perform in Donizetti's Lucia di Lammermoor. 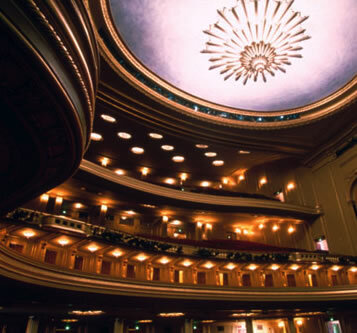 The War Memorial Opera House is supposedly one of the architectural jewels of the city. Choate's varsity boys' tennis team assembled a fine win this afternoon over a strong Andover squad. This was one of those very rewarding days when a coach sees past efforts pay off. We've suffered a pair of frustrating losses in the past two weeks, letting matches we might have won slip away carelessly. Happily, in the face of adversity, things went differently today. After a sub-par start in our doubles pro-sets, we ended up sweeping all three contests (after two of our pairs got a bit of a tongue-lashing from yours truly halfway through) and then took four of the six singles contests that followed. This win will lift my mood for days to come. Turns out my friend Chuck and I have been tapped to act as Masters of Ceremonies on stage at this weekend's Foreigner concert on the Choate campus. Maybe I'll provide some backing vocals on "Feels Like The First Time." The gathering of the athletic directors of the Eight Schools (Choate, Deerfield, Andover, Exeter, St. Paul's, Hotchkiss, Lawrenceville, and NMH) took place up at Deerfield today. This meeting has the feel of a council of barons or something like that. It's a good group to meet with, as we share many of the same challenges and issues on each of our campuses. Having coordinated the work of this assemblage for the past decade, I am happily passing the leadership baton on to others, as we created a rotation of each member school taking a turn hosting meetings and acting as point person for the group of colleagues. Choate Tennis narrowly lost the League championship with a 3-4 loss to Hotchkiss up in Lakeville this afternoon. A freak injury during the warm-up took our #6 player (who hasn't lost in that position all season) out of the line-up and probably foiled what should have been a straightforward victory for us. In spite of the adversity, the team fought hard, winning a hotly contested #1 doubles showdown to take the doubles point and then earning a 3-0 lead in team scoring with first-set wins in three other singles matches before faltering in a trio of third-set contests. So frustrating to be this close and stymied by a chance turn of events! My U.S. History class turned in portfolios of essays--three of them, to be precise--about the 1960s. This was the culmination of a two-week period of individual research and writing. So while the past couple of weeks I've had a much lighter class day experience, now I am facing 45 essays to read and grade! My general policy is to return all tests and papers the next class day, but I'm giving myself a week to turn these around. Two weeks after a frustrating loss to Deerfield, the Choate tennis team exacted vengeance with a convincing 5-2 win over the Big Green in the semifinals of the New England Class "A" tournament. We won #1 and #2 doubles and then #1, #4, #5, and #6 singles in straight sets. Over the past two days, the Choate athletic facility has been turned into a concert arena. A huge stage has been erected in the middle of the cage and the second floor of the building's north wing has been repurposed into dressing room, catering, and lounge space for Foreigner and its crew. This culminated in a pretty fun event tonight, a 9 p.m. concert that featured most of the band's best-known hits: "Double Vision," "Urgent," "Cold As Ice," "Head Games," "Feels Like The First Time," "Dirty White Boy," "Juke Box Hero," and "Hot Blooded." My minor role as M.C. involved some time backstage and a stint on stage auctioning off a signed guitar to the 800 or so in the crowd. 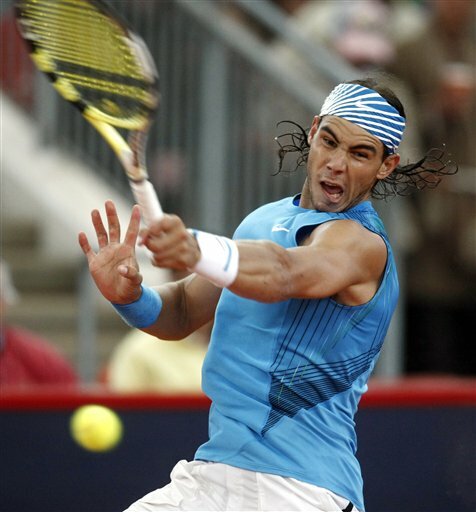 Rafael Nadal foiled Roger Federer again today in winning the Hamburg Masters title, taking the only major clay court crown he had not yet won. This victory ended the Swiss player's streak of three titles in a row in this event. Inexplicably, Federer once again built huge leads in the first two sets (5-1 in the first set and breaking early again in the second) only to see them erased by Nadal. Federer did prevail in the second-set tiebreak, but it was clear in the third set that his spirit had been broken. He must wonder what he can do against the Spaniard who is so comfortable pounding away on this surface! 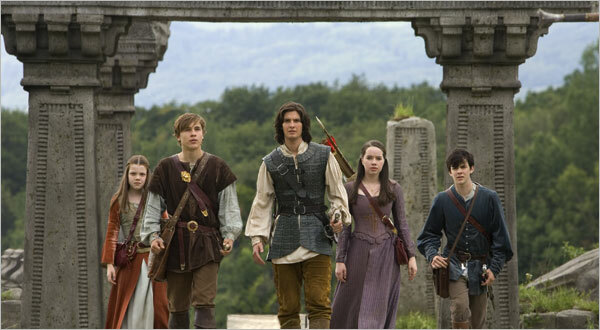 Since our tennis match today was washed out by the rain after doubles play, I took advantage of a few free hours to see The Chronicles Of Narnia: Prince Caspian at the local multiplex. The film was so-so: nothing horrible about it, but there was the sense throughout there was little new or engaging in this installment. Some pretty scenery and a good, if brief, scene with Tilda Swinton reprising her role as The White Witch were highlights, but there was thematic confusion and a pretty ho-hum ending detracting from the effectiveness of the movie. Continuing the "retro" theme after seeing Foreigner the other night, I bought a ticket to see two of my favorite junior high school bands--Styx and Boston--play at Mohegan Sun casino the first week in August (the day before I fly to London, in fact). 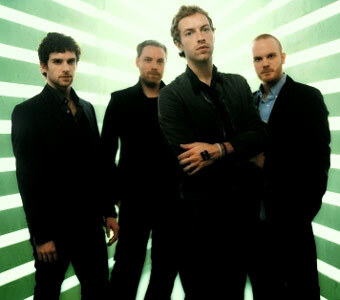 Since I am in a concert-ticket-buying mode, I purchased a ticket to the Coldplay show in Hartford this July 3. Got my ticket to the West Coast today for my July seminar at Stanford. It was actually cheaper to go from Hartford to San Francisco and then from San Diego back to Hartford than a simple BDL-SFO round trip. Go figure. The pain at the pump I experienced today was a little different than most people I know are facing. It cost me about $5 to fill the tank of my scooter--as opposed to the $3 I was used to paying when I first got it a few years back. Now the extra two bucks is not exactly going to bankrupt me, but considered as a percentage increase, it's clear to see why I am trying to minimize the mileage behind the wheel of my Ford Explorer. If Adventure Has A Name . . . 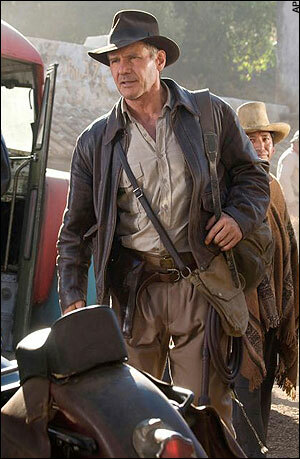 I just attended the midnight premiere of Indiana Jones And The Kingdom Of The Crystal Skull in Wallingford. I'd give the film a qualified "thumbs up." There's definitely enough string content to make this movie worth catching in the theater, though I went in with my expectations sufficiently lowered such that I could enjoy it. 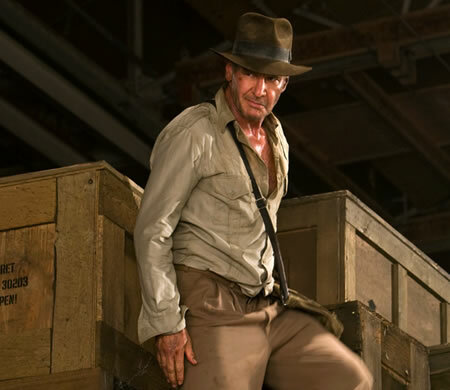 There are some problems--especially with the final half hour of the flick--that I won't detail here for fear of spoiling some plot details, but it's pretty thrilling to see Indy and Marion back on the big screen. And certainly it's clear why the wannabes (Angelina Jolie as Lara Croft, Brendan Fraser in The Mummy series, Nicolas Cage in the two National Treasure entries, et al.) suffer by comparison to the real deal. If one wants to see the face of evil in our world, one wouldn't have to look much past the military leaders of Burma (I refuse to honor the junta's preference for Myanmar as the name of the country). These thugs have willfully obstructed international aid efforts over the past three weeks since the horrific cyclone hit the nation, leaving a trail of human carnage and misery behind. It's staggering how heartless these so-called "leaders" have been, given the plight of their people. At first, a nerd was a geek with better grades. The word described a high-school or college outcast who was persecuted by the jocks, preps, frat boys and sorority sisters. Nerds had their own heroes (Stan Lee of comic book fame), their own vocations (Dungeons & Dragons), their own religion (supplied by George Lucas and “Star Wars”) and their own skill sets (tech support). But even as “Revenge of the Nerds” was gracing the nation’s movie screens, a different version of nerd-dom was percolating through popular culture. Elvis Costello and The Talking Heads’s David Byrne popularized a cool geek style that’s led to Moby, Weezer, Vampire Weekend and even self-styled “nerdcore” rock and geeksta rappers. The future historians of the nerd ascendancy will likely note that the great empowerment phase began in the 1980s with the rise of Microsoft and the digital economy. Nerds began making large amounts of money and acquired economic credibility, the seedbed of social prestige. The information revolution produced a parade of highly confident nerd moguls — Bill Gates and Paul Allen, Larry Page and Sergey Brin and so on. Geeks not only rebelled against jocks, but they distinguished themselves from alienated and self-pitying outsiders who wept with recognition when they read “Catcher in the Rye.” If Holden Caulfield was the sensitive loner from the age of nerd oppression, then Harry Potter was the magical leader in the age of geek empowerment. But the biggest change was not Silicon Valley itself. Rather, the new technology created a range of mental playgrounds where the new geeks could display their cultural capital. The jock can shine on the football field, but the geeks can display their supple sensibilities and well-modulated emotions on their Facebook pages, blogs, text messages and Twitter feeds. Now there are armies of designers, researchers, media mavens and other cultural producers with a talent for whimsical self-mockery, arcane social references and late-night analysis. They can visit eclectic sites like Kottke.org and Cool Hunting, experiment with fonts, admire Stewart Brand and Lawrence Lessig and join social-networking communities with ironical names. They’ve created a new definition of what it means to be cool, a definition that leaves out the talents of the jocks, the M.B.A.-types and the less educated. In “The Laws of Cool,” Alan Liu writes: “Cool is a feeling for information.” When someone has that dexterity, you know it. The news that being a geek is cool has apparently not permeated either junior high schools or the Republican Party. George Bush plays an interesting role in the tale of nerd ascent. With his professed disdain for intellectual things, he’s energized and alienated the entire geek cohort, and with it most college-educated Americans under 30. Newly militant, geeks are more coherent and active than they might otherwise be. Barack Obama has become the Prince Caspian of the iPhone hordes. They honor him with videos and posters that combine aesthetic mastery with unabashed hero-worship. People in the 1950s used to earnestly debate the role of the intellectual in modern politics. But the Lionel Trilling authority-figure has been displaced by the mass class of blog-writing culture producers. So, in a relatively short period of time, the social structure has flipped. For as it is written, the last shall be first and the geek shall inherit the earth. For the third straight year, a Choate pair has won the New England prep school doubles title. Congrats to Brian McDermott and Max Mullen. 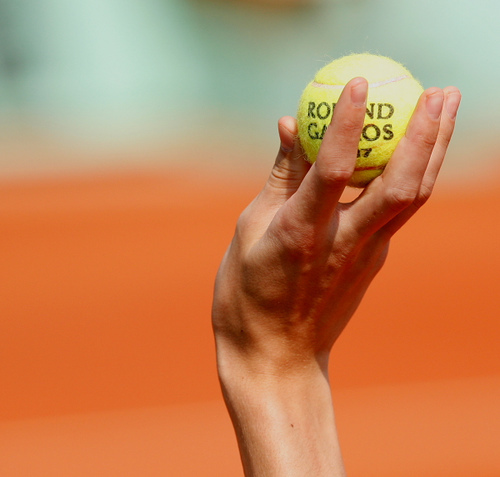 The French Open (known in the tennis world simply as "Roland Garros" for the World War I aviator whose name adorns the facility) begins today with 32 main draw matches. This is the only of the four majors to begin on a Sunday. Happily for me, Tennis Channel is providing virtually wall-to-wall live coverage with ESPN and NBC. I spent much of the day with my family on Lake Pocotopaug in East Hampton, Connecticut. My sister was on the East Coast for a Brown college reunion so my parents and I assembled at my cousin Helen's house for a laid-back afternoon. On the way over, I passed the Wesleyan campus in Middletown, where traffic was heavy--no doubt because of the college graduation ceremonies featuring Barack Obama as a speaker, filling in for an ailing Ted Kennedy. 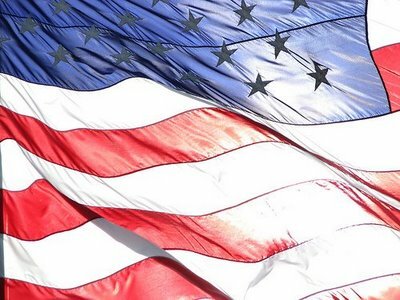 I've blogged before about Memorial Day being one of my two favorite holidays (the other being Thanksgiving). The weather feels like an early summer day, and there's a parade lining up just behind my house. I am heading off in a few minutes to run a Field Day post for the school (no classes today) and then enjoy a leisurely afternoon reading, playing some tennis, and attending an all-school picnic. Today I booked tickets to a handful of productions now on Broadway: the widely acclaimed South Pacific at Lincoln Center (I couldn't find a good seat until late August), the limited run of Thurgood with Laurence Fishburne, and the extended run of August: Osage County (the latter two I will see in mid-June). After a week and a half of delivery mishaps, copies of the New York Times and USA Today were on my doorstep this morning. For some unknown reason, my subscriptions have been screwed up of late. Most of last week, for example, instead of USA Today, I was getting the New York Daily News (not exactly my cup o' tea!). But all is right in the universe of my daily newspaper consumption now. Went up to the Apple Store in Farmington tonight. I had to pick up a new power cord for my iBook G4, which is a laptop that has traveled the world with me (six continents in both 2006 and 2007) and pretty much serves as a bedroom computer now. It also has its DVD player set to the region code "2" so I can watch U.K. discs without resorting to software tricks. 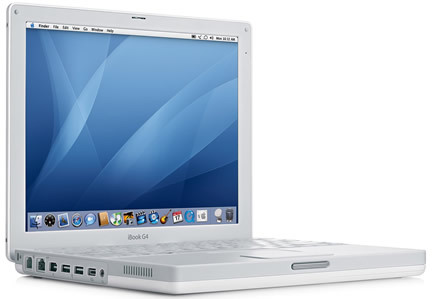 The part of the cord that plugs into the machine to provide electricity got a bit too banged up, so the connection was no good and the battery stopped charging; thus without a fixed or replacement cord, the laptop would be nothing more than a shiny white paperweight. So $80 and a brand new cord later, I can now charge up the iBook again. Make-Up Call At 8 p.m. Heading to dress rehearsal tonight for my cameo in the spring musical production of No, No, Nanette. It's one appearance only, so get your opening night tickets for tomorrow! Made my appearance on the main stage of the Paul Mellon Arts Center tonight: thirty seconds of fame with two lines of dialogue and a chauffeur's uniform. Still don't know why all of my cast-mates wanted to see me break my leg, though. Are all theater people mean? 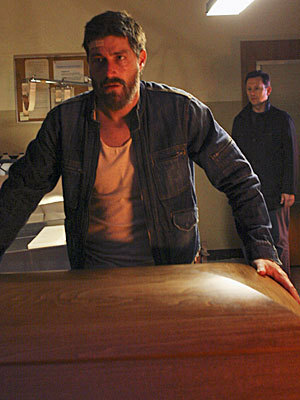 Since I was performing in the musical tonight (and watched the remainder of the performance from the audience after changing back into my civvies) I had to record the Lost season finale on the DVR for consumption later. It was well worth the wait: a fitting wrap-up to a strong, if brief, season. This is gripping television. Just taught my last class of the year . 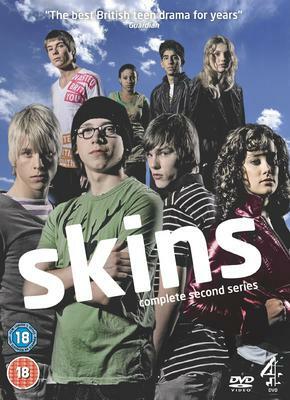 . .
With a bit of free time on my hands this weekend, I am immersing myself in the second season of the Skins television show from Britain. This page contains all entries posted to As Far As You Know in May 2008. They are listed from oldest to newest.